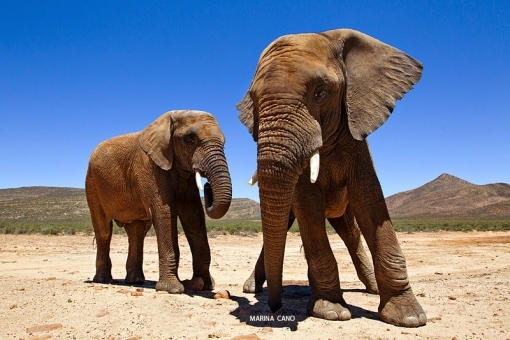 Aquila Private Game Reserve is very proud to be a reserve in the Western Cape to have reintroduced lion, rhino, buffalo and now finally the elephant which form part of the African Big 5. This will ensure that visitors to our region spend more time in the area and are no longer forced to risk malaria, incur high travel costs and extra travelling time going north for their safari experience. 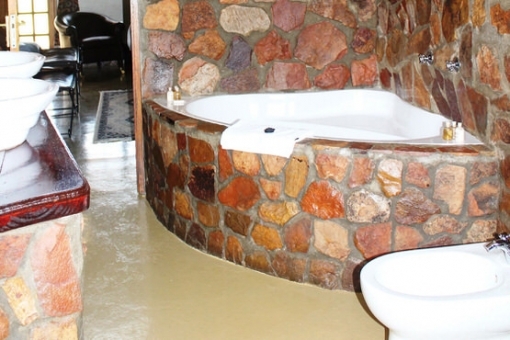 Aquila has several safari options on offer. 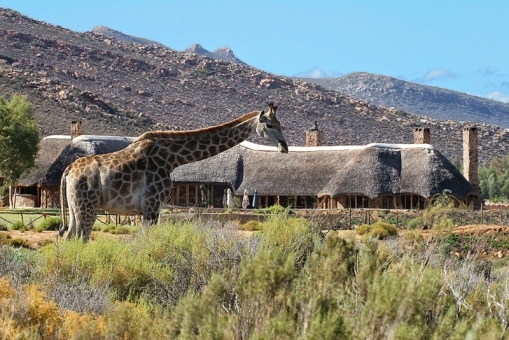 These enable our guests to experience the reserve in a way that best suits their interests and schedules. 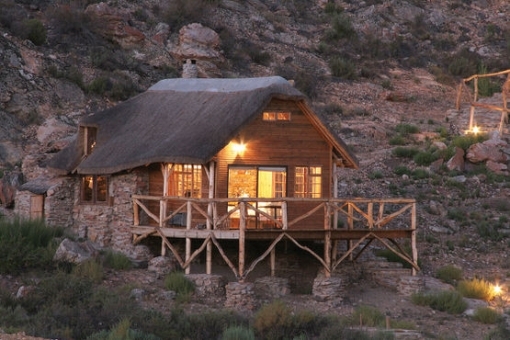 Horse trails are available for evening and early morning game viewing. Game viewing on horseback is an unforgettable experience as one can get so much closer to the wildlife. It has been described as an epic experience and adventure. The Best of both worlds. 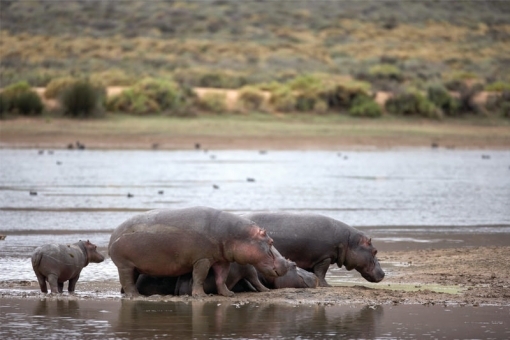 As the name sugests, this safari offers you a 4x4 game drive and a horse-back safari. 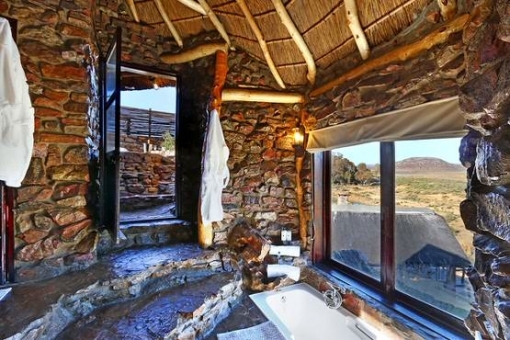 You get a three-hour game drive with one of our experienced rangers and visit our world-renowned Khoi San Bushmen rock art sites. Game viewing on horseback is an unforgettable experience as one can get so much closer to the wildlife. It has been described as an epic experience and adventure. 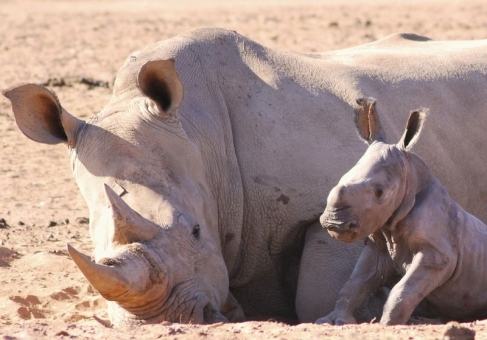 The 3 hour safari departs at 1.30pm & finnishes at 4.30pm. The safari is led by an experienced guide who will share exciting inside stories: facts about your surroundings, easily rousing your inner wild side. 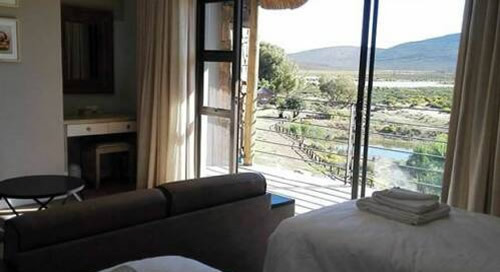 Aquila Private Game Reserve & Spa and Luxury Affordable 4 Star Safari Lodge accommodation, offers Real Africa, Real Close to Cape Town, which is located just under 2 hours from Cape Town on scenic drive via the N1, via the scenic Du Toitskloof Pass and endless beautiful winelands. 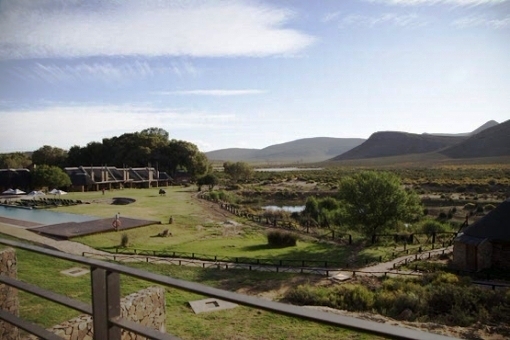 Aquila Private Game Reserve is named after the rare and endangered Black Eagle that thrives in the area. 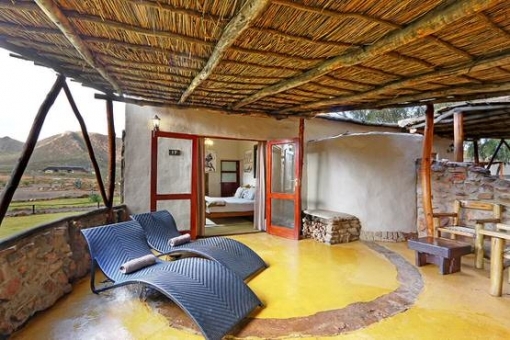 Proclaimed a Private Nature Reserve in 1985, this 4 Star Accommodation Lodge, situated within a malaria free zone Safari Reserve is steeped in Khoi San and Boer War history and boasts 3 pristine biomes of vegetation set in the most magnificent Karoo mountains, valleys, rivers and kloofs. 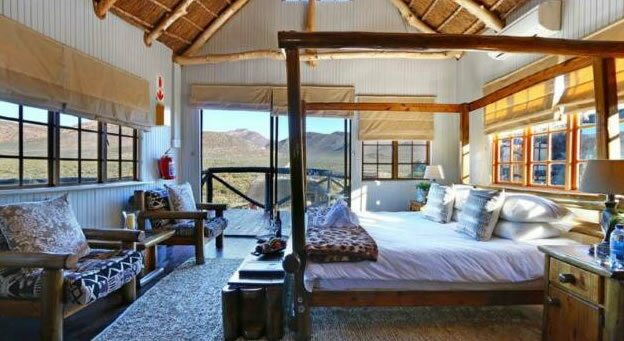 The reserve is a 10,000 hectare conservancy in the southern Karoo, and home to the big 5 legends of the wilderness - elephant, lion, buffalo, leopard and rhino. 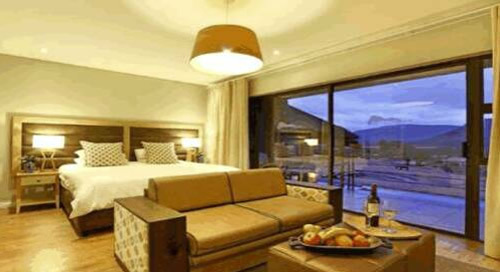 A representative of Aquila Private Game Reserve will meet you at your hotel in Cape Town, you will then travel via motor coach along the scenic Du Toitskloof Pass and endless winelands to Aquila Private Game Reserve. A welcome cocktail will await your arrival whilst you relax by the rock swimming pool in summer, or enjoying a roaring log fire in our cigar bar or lounge in winter. You may also choose to drive to Aquila in your own car if that suits your plans better. 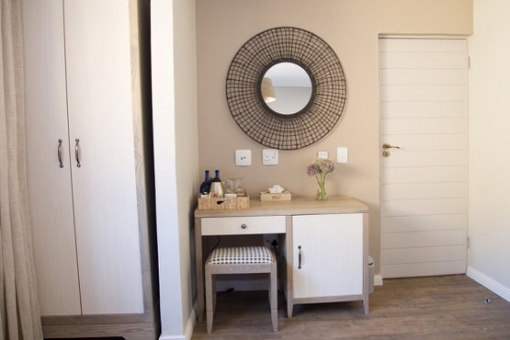 This chalet has 1 x bedroom / Twin or Double, one Bathroom - In keeping with the design and flow of the architecture at Aquila, the Standard Luxury Cottages do not compromise the experience nor standard. 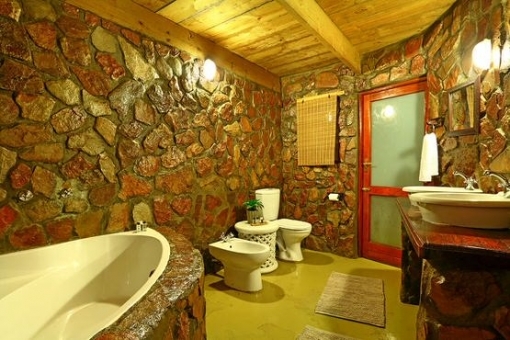 Each has its own patio, corner bath and outdoor rock shower. 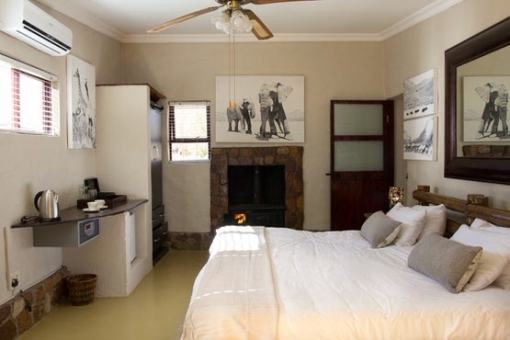 Cottages are equipped with mini bars (on request), all rooms have air conditioning, and feature “coal" stoves for that extra bit of warmth and cosiness in the colder months. 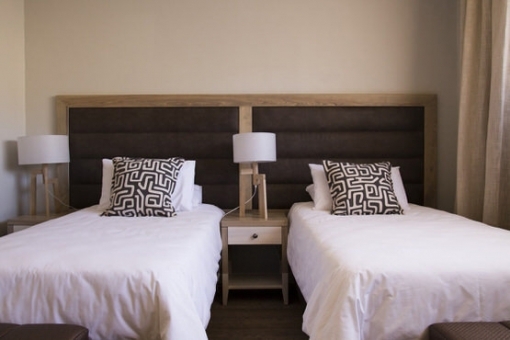 Follow the N1 highway from Cape Town for approximately 130km. 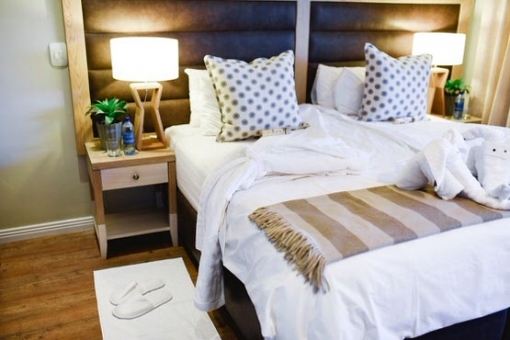 The road will take you past Paarl, through the Huguenot toll road, past Worcester, De Doorns and through the Hex River Valley. Approximately 30 km after De Doorns and just passed the road sign indicating “10km to Touws River” , you will get to the R46 turnoff to Ceres. Take the turnoff to the left. Follow the road for approximately 3km. 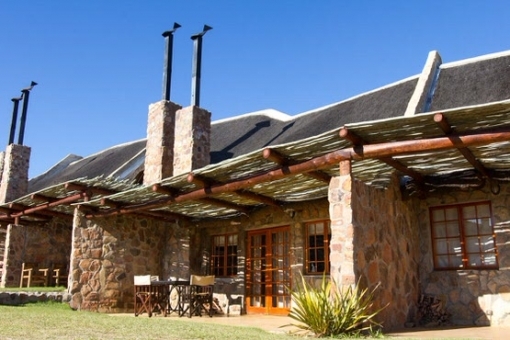 You will find the Aquila Private Game Reserve main entrance on your left hand side. 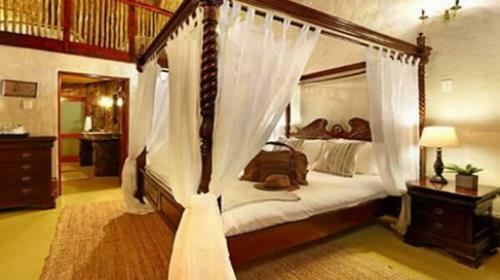 All over night Safari packages Includes: dinner, bed, breakfast, and lunch. 2 game drives. FREE SPA OPTION - For 2 & 3 Night stays you will have free access to the Spa Facilities- Treatments are optional at an additional cost. 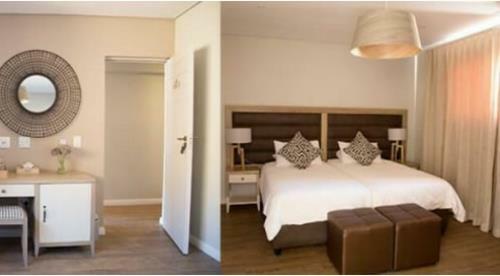 For all other guests the access fee is R250 per person per day and the first treatment booked will be discounted by this amount. 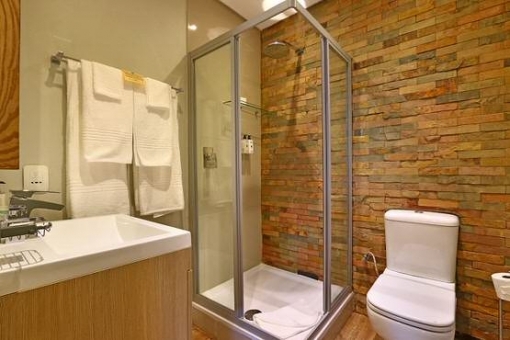 Featuring: 2 x large heated indoor pools, steam room, sauna, nail bar, 10 treatment rooms, a couples or group treatment room and an outdoor pool. 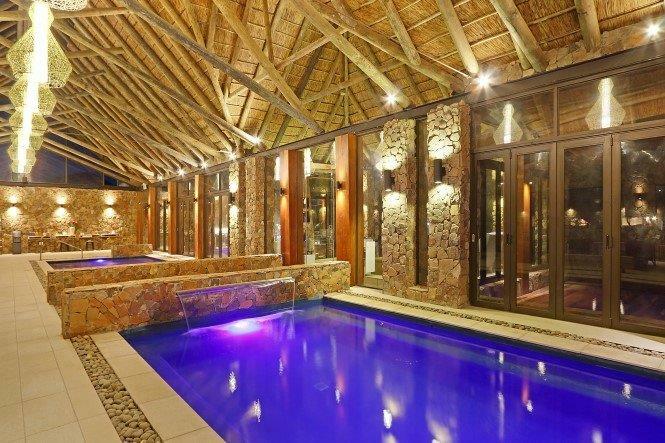 CLICK HERE - To view pictures of Spa Complex and heated Pools. All the above are subject to availability.All the above are subject to availability. You will have free access to the Aquila Spa, "2 x Heated Indoor Pools" & Treatment Complex: - Treatments are optional at an additional cost. For all other guests the access fee is R250 per person per day and the first treatment booked will be discounted by this amount. 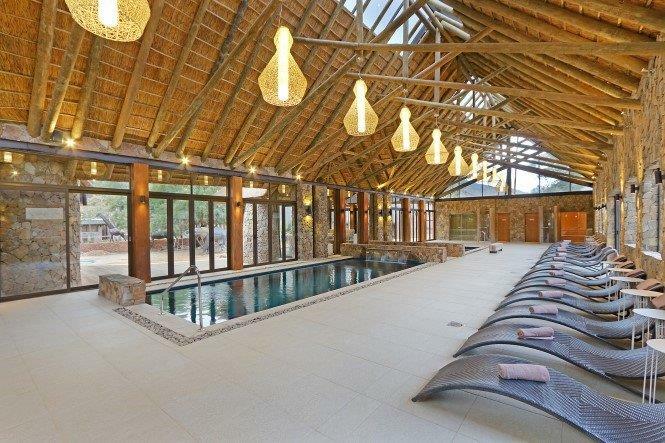 Featuring: 2 large heated indoor pools, steam room, sauna, nail bar, 10 treatment rooms, a couples or group treatment room and an outdoor pool. All the above are subject to availability. 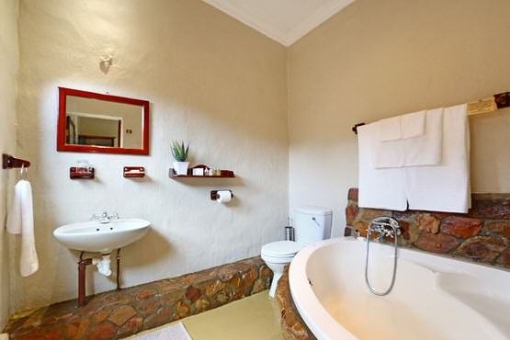 CLICK HERE - To view additional treatments on offer at the spa or if you book one of the treatments, the entrance fee, is then included in the treatment. 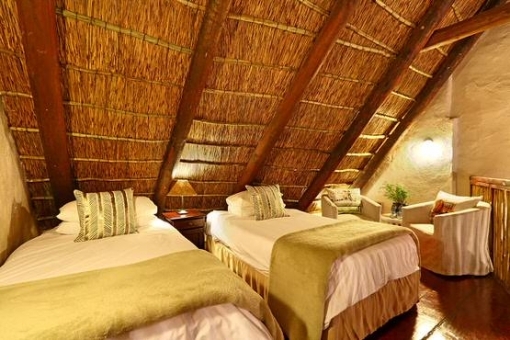 For those booking a one night stay, you can Upgrade to a Overnight Safari combo package. The Best of both worlds. 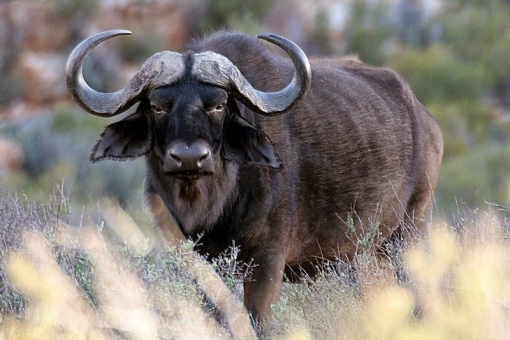 You get a three-hour game drive with one of our experienced rangers. Game viewing on horseback / Quad Bike is an unforgettable experience as one can get so much closer to the wildlife. 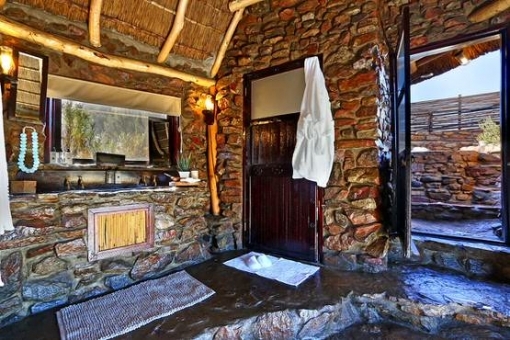 * 10h00 - Check out of accommodation at Aquila Private Game Reserve. 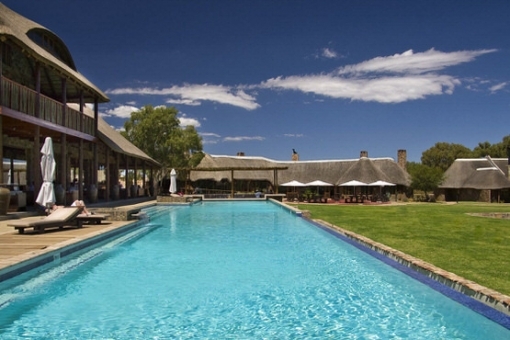 For guest Staying for 2 x nights will receive a complimentary horseback safari swap and a 3 x night stay will receive a complimentary horse back and quad bike safari swap, subject to availability. FREE SPA OPTION - For 2 & 3 Night stays you will have free access to the Spa Facilities - Treatments are optional at an additional cost. 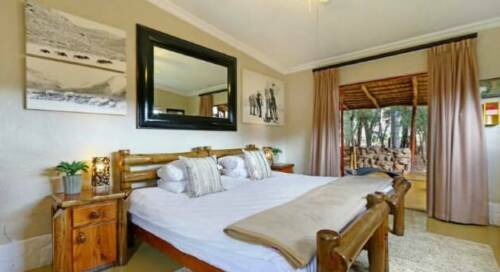 For all other guests the access fee is R250 per person per day and the first treatment booked will be discounted by this amount. 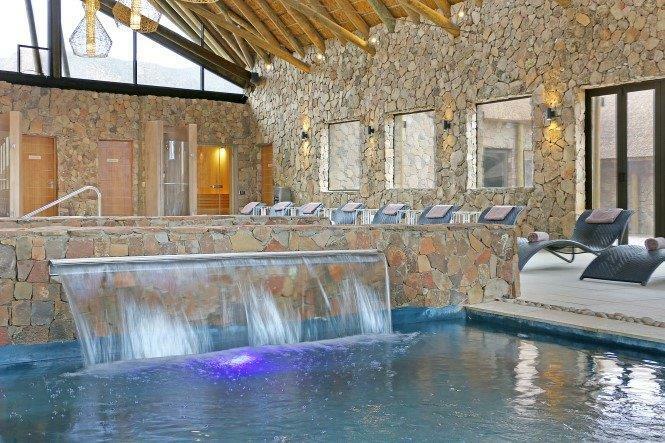 Featuring: 2 x large heated indoor pools, steam room, sauna, nail bar, 10 treatment rooms, a couples or group treatment room and an outdoor pool. All the above are subject to availability. 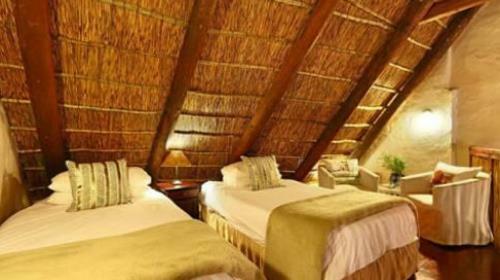 FREE SPA OPTION - For 2 & 3 Night stays you will have free access to the Spa Facilities- Treatments are optional at an additional cost. 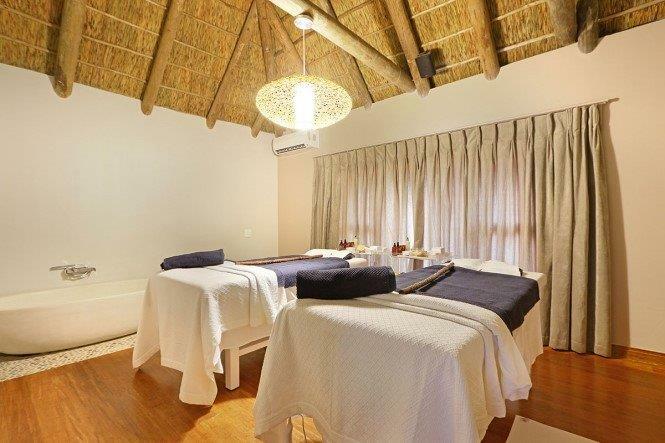 For all other guests the access fee is R250 per person per day and the first treatment booked will be discounted by this amount. 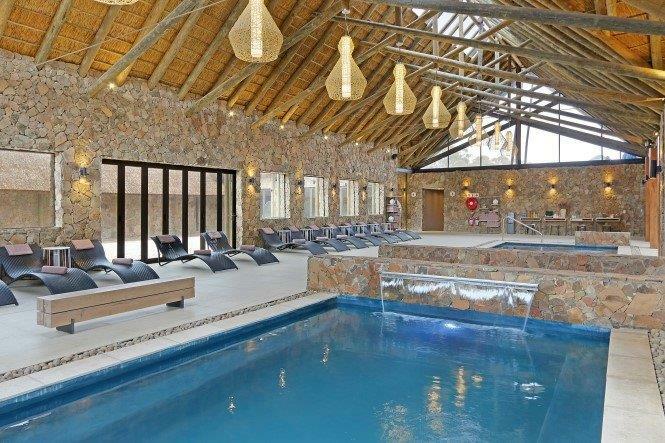 Featuring: 2 x large heated indoor pools, steam room, sauna, nail bar, 10 treatment rooms, a couples or group treatment room and an outdoor pool. 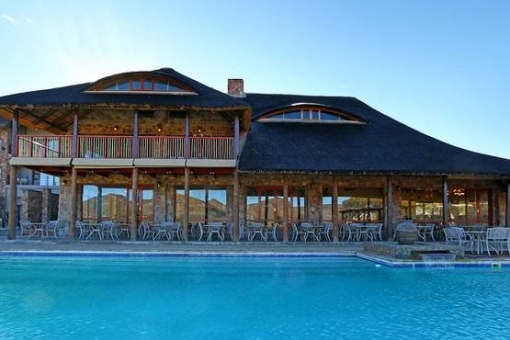 CLICK HERE - To view pictures of Spa Complex and heated Pools. All the above are subject to availability.All the above are subject to availability. 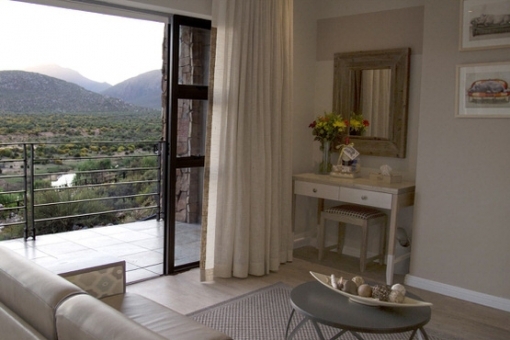 These Mountain Facing Lodge Rooms have a lounge area and offer stunning views. 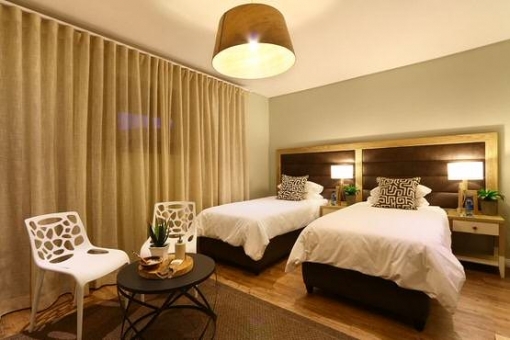 They are ideal if staying for more than one night. 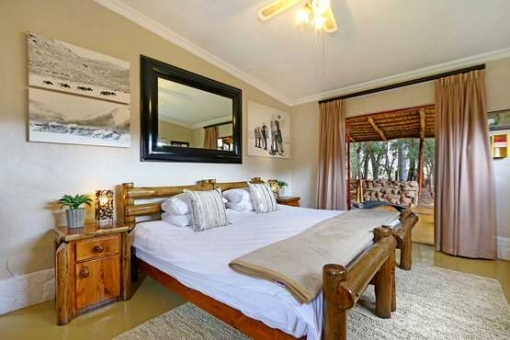 Aquila Private Big 5 Game Reserve & Spa offers traditional game drives, safaris on horseback, quad biking, 4 x 4 mountain trails and private luxury chalets. 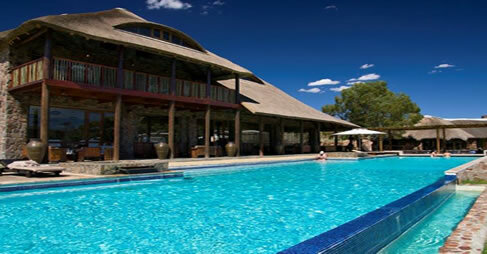 Aquila also has a 35 meter salt water swimming pool, with a trendy pool bar. There is also a conference centre, children entertainment area, library, and curio shop. 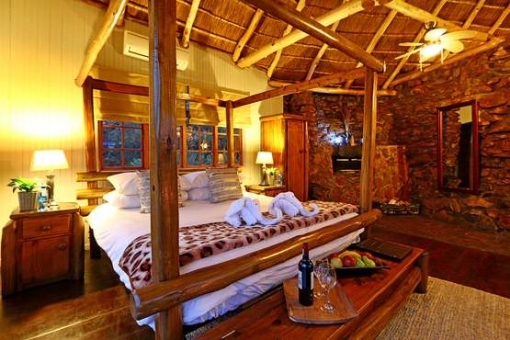 Aquila is a big 5 Game Reserve close to Cape Town is the ultimate African safari getaway. Entrance Fee per person is R250.00 per person. CLICK HERE - To view additional treatments on offer at the spa or if you book one of the treatments, the entrance fee, is then included in the treatment. 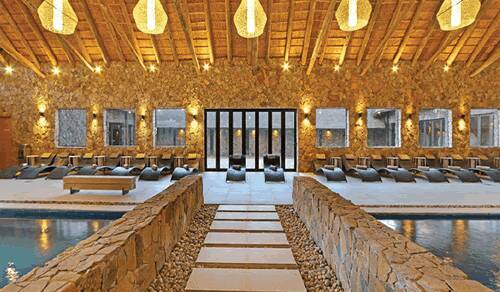 The Tranquila Spa is a place of peace and serenity and as such access is subject to availability. 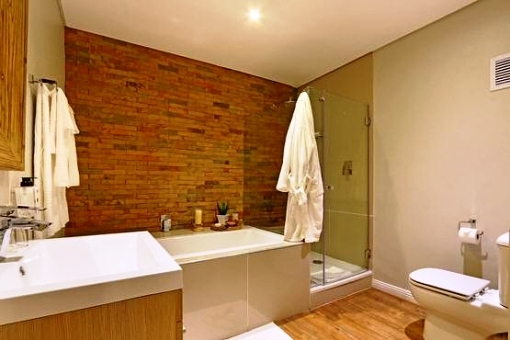 Aquila Spa Opening Hours are from 8am to 10pm. 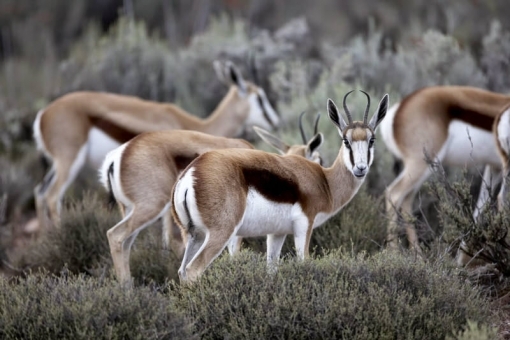 These are offered with or without transport to the reserve - self drive. 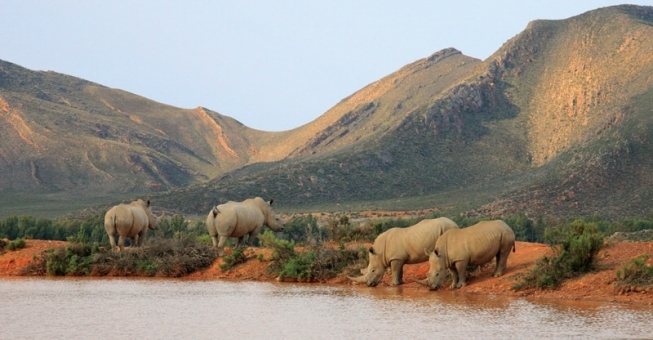 Guests are informed to depart Cape Town approximately the same time as the tour provided with transport, for these are the set times for game drives and meals served daily. Children - 4-11 years at 1/2 price .